Country music songstress Danielle Bradbery has unveiled her new single Goodbye Summer, with multi-PLATINUM artist and friend Thomas Rhett. The foot-tapping ode to short-lived romance is available at all digital retailers now. 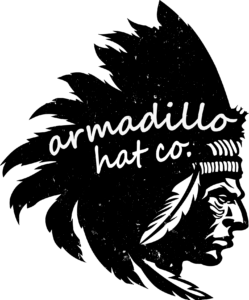 The bittersweet song is a reimagining of Hello Summer from Bradbery’s sophomore album I DON’T BELIEVE WE’VE MET (BMLG Records), now with an added male perspective. 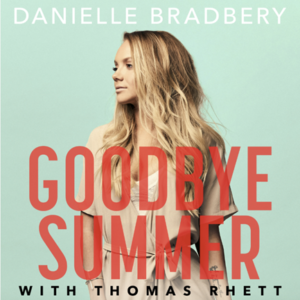 Goodbye Summer is the follow-up to Bradbery’s empowering single Worth It, a self-penned anthem which served as an introduction to her vulnerable and introspective songwriting. Danielle will be playing at The Long Road Festival in September! Check out our interview with Danielle from earlier this year here! 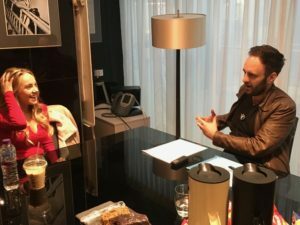 Aaron Watson: The star from the Lonestar State tells us all about new music, his intense love for the UK and much more!